New fraud rules have been set in place by Radio Loyalty. Any user with?at least four suspicious impressions representing over 50% of that user’s total impressions will be permanently blocked from accessing the Radio Loyalty?platform. An impression is a launch of the player or a re-load following a CAPTCHA completion. We do not control who is banned, this is at the sole discretion of the Radio Loyalty team. Please do not contact us if you get banned, as it is out of our control. Do not open more than one Radio Loyalty window at a time and do not use bots and/or proxies, and your account will not be banned. Thank you for your cooperation! 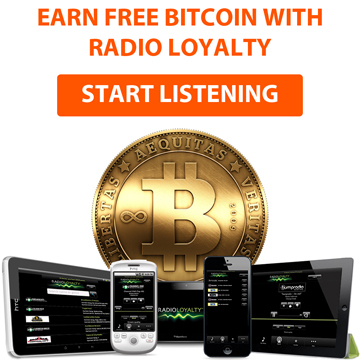 Earning bitcoin with Radio Loyalty is easy! Simply click the “Listen Now” button below in order to get started. 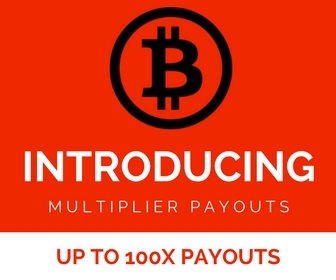 Your personalized radio player will open in a new window and every 10 minutes of continuous listening will earn you bitcoin. All you have to do is prove you are an active listener and fill out the CAPTCHA that appears every 10 minutes.